John specializes in Hospital Senior Executive Management, able to take on challenging interim roles necessary in community based hospitals. With over four decades of healthcare experience, John has excelled in all financial aspects of community hospitals. As the CEO of a local hospital, he was selected as Business Leader of the year in 2017, working closely with the AHA, was awarded the Grassroots award for NH in 2017. John is a strong advocate for Veterans, and has worked to create Free Health related services for Veterans in his community. John also created the first Community Recovery Center in Rochester. Prior to joining Helms & Company, John was associated with Frisbie Memorial Hospital as the CFO for 21 years, and promoted to CEO in 2014. Before Frisbie, he was the VP of Finance and Facilities at Exeter Hospital. 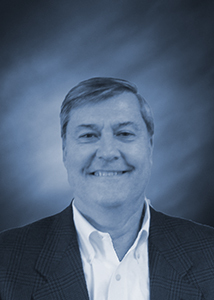 John has worked at three other hospitals in his career in many financial leadership positions. John also has extensive teaching experience in Masters level program for local colleges, including New England College in courses for Strategic Planning, and Healthcare Management. He has worked for other colleges in various financial management-related courses for undergraduate programs as well. He is currently awaiting course assignments from Granite State College. John has sat on multiple boards. He represented his hospital on the NHHA Board. He was actively involved as a board member on many committees for Medical Mutual Insurance Company of Maine. John was also one of the founding board members of Benevera.